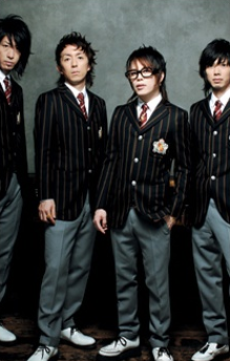 Abingdon Boys School (sylized abingdon boys school and abbreviated as a.b.s.) is a Japanese rock band formed by Nishikawa Takanori (T.M.Revolution) on vocals, SUNAO on guitar, Shibasaki Hiroshi on electric guitar and Kishi Toshiyuki on keyboards. Formed in 2005, the band was named after Abingdon School, the all-male school where English rock band Radiohead was established. The band debuted on December 6, 2006, with their first official single "INNOCENT SORROW", the opening theme to the anime D.Gray-man. It placed #4 on the Oricon charts.